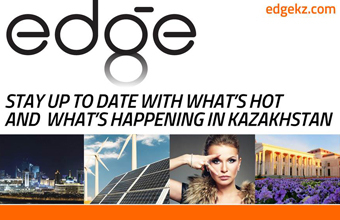 ASTANA – World-renowned musicians will perform a “Stars of the Performing Arts” concert at the Astana Opera Sept. 16. The opera house’s sixth theatrical season recently kicked off with the Sept. 8 concert “Astana Is My Beautiful Dream,” and audiences will soon be treated to Franz von Suppé’s overture “Poet and Peasant,” a concert suite performed by a cellist, soprano and Konstantin Boyarsky’s symphony orchestra. Max Bruch’s Kol Nidrei will be performed by a cellist and symphony orchestra, and the evening will conclude with Felix Mendelssohn’s Symphony No. 4 in A Major, Op. 90. 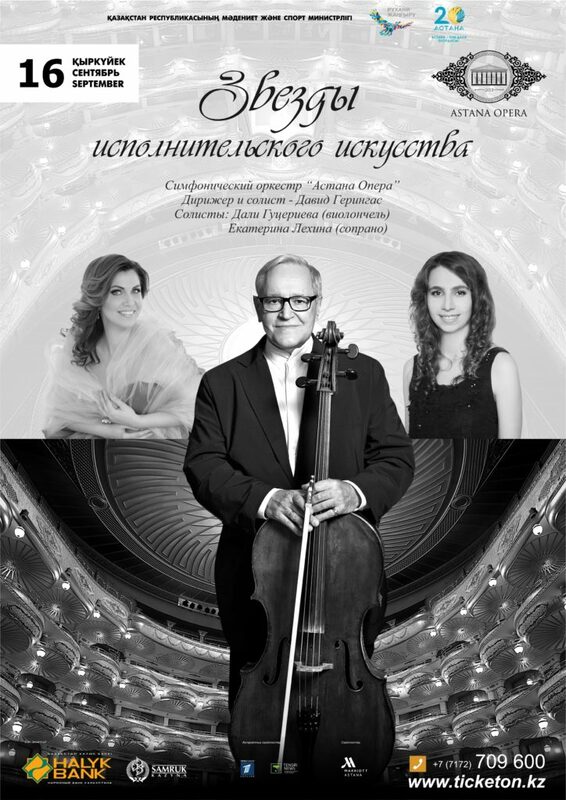 David Geringas will perform Bruch’s work on the cello, accompanied by Astana Opera’s symphony orchestra. He is a Lithuanian cellist, conductor and Gold Medal laureate of the International Tchaikovsky competition. Geringas studied at the Moscow Conservatory and is known as an extremely versatile musician, exhibiting a vast repertoire from early baroque to contemporary music. He performed as a soloist with the Berlin Philharmonic, Vienna Philharmonic, Royal Philharmonic, London Philharmonic, Czech Philharmonic, New York Philharmonic, Israel Philharmonic, Royal Concertgebouw Orchestra, London Symphony, Orchestre de Paris, Bavarian Radio Symphony, Leipzig Gewandhaus Orchestra, Chicago Symphony and NHK Symphony. Dali Gutseriyeva is a Russian cellist, violinist and winner of the International Knushevitsky cello competition. The cellist will lend her talents to the concert suite composed especially for her by Boyarsky. The musician studied at the Moscow State Tchaikovsky Conservatory and, at 19 years old, has already performed on the stages of major theaters in Finland, Denmark, Belgium, Iceland, Latvia, Belarus, Estonia, Spain, Italy and the Czech Republic. Ekaterina Lekhina is a Russian soprano and winner of Plácido Domingo’s World Opera competition Operalia. The soprano will also perform alongside Gutseriyeva and Boyarsky’s orchestra. A Grammy Award winner, she is a regular at Moscow’s Bolshoi Theatre and has entertained audiences at the Royal Opera House, Munich Staatsoper, Berlin Staatsoper, Deutsche Oper Berlin, Teatro Real de Madrid, Aix-en-Provence Festival, New Israeli Opera, Teatro Municipal de Santiago and Opéra de Monte-Carlo.